We went for a stroll earlier this morning and found The Three Little Pigs by Nat Lambert on the bookshelf in the store. There are so many variations of this story …some that I feel are too long and wordy, or too confusing or scary. I’ve even heard of one from the Big Bad Wolf’s perspective. This version I liked a lot because the words were simple, the images were clear and friendly (without being too scary) and it was easy for the children to follow the storyline; the story had a familiar ending of the big bad wolf not coming back, without being too gory with the details. The story ends saying that the Big Bad Wolf fell into the pot and that was the end of that. I do like how they left it at that, instead of specifically mentioning he got cooked or something along those lines. It left me with a opening (however small) to explain to the kids (in my own words) that the wolf fell into the pot and it was hot and he probably didn’t like it; and never returned. Sometimes, when I don’t love a part of the story, such as how the author explained a scene or ending, I give it my own little twist based on my audience. If I were reading the story to an older group of elementary children, I may have left it at that and let the children decide what they think might’ve happened to the wolf when he fell into the pot. For younger children (such as my 2,4 and 5 year old), I try to make the story more kid- friendly, as to not make them scared or think too much on “cooking” a character (which can come across as a little scarier for them). I saw this moment the kids were very drawn to the story. They’ve heard versions of Three Little Pigs here and there either from a TV program or from other versions of a story I read ; but it wasn’t until today, they were especially drawn to the story. They wanted me to read it twice, even three times back to back. The teacher in me saw this as a teachable moment and decided we should run with this. 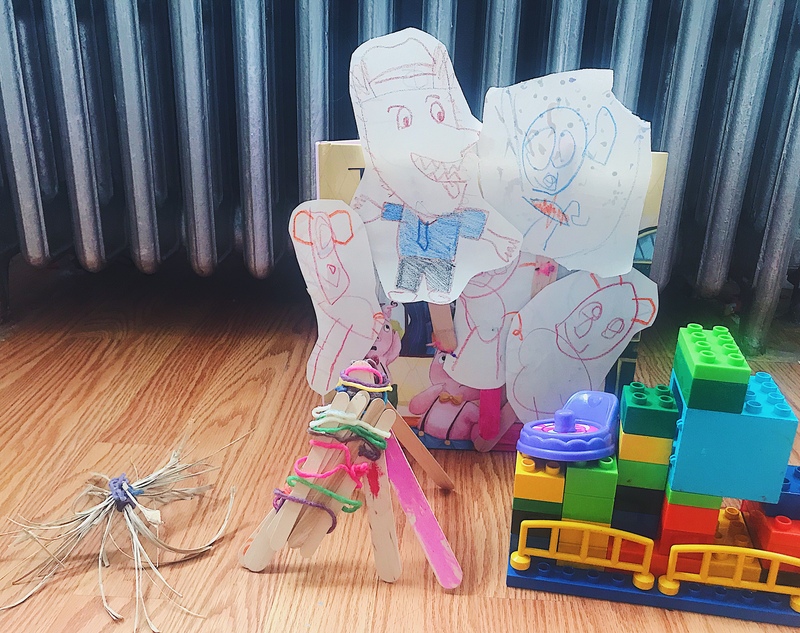 I asked if they wanted to create a puppet show and build houses to act out the story we just read; and of course, excitedly, they said “yes!” While I was finishing up in the kitchen, I asked them to draw the characters of the story (I helped them with the big bad wolf as per their request) . I came out of the kitchen where they finished their drawings and gave them our tin can filled popsicle sticks and tape. I helped the little one cut out the characters and had the older one cut out hers. 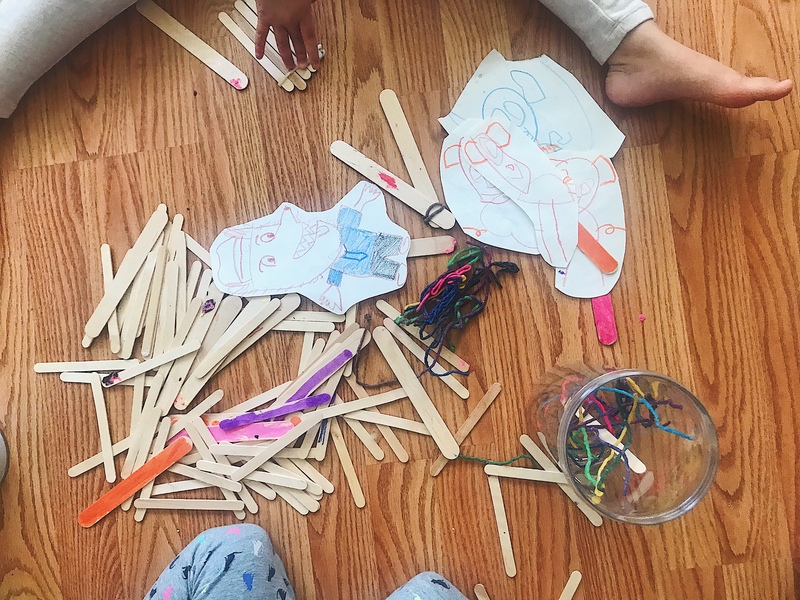 If you’ve been following my blog since the beginning, you probably know the love I have for Wikki Stix! I even featured them in my first giveaway. We always have Wikki Stix in our house, so I took them out and told them to use it to bind, twist and tie however they wanted to make a house. Twisting and squeezing , folding and sticking, we all worked together to create our three houses using the Wikki Stix as the adhesive. I LOVE this because it saves us from buying glue and and it means that the popsicle sticks can also be reused after this activity. Craft materials aren’t cheap; and we are always looking for ways to be less wasteful. This was a major discovery for me; and I can’t wait to explore all the other ways I can use them as a glue replacement! I even used it tonight to tie up a bag of half opened pack of chips. After the creations, we reread and acted out the story using our puppets. The Wikki Stix came in handy once again when we were acting out the houses that the pigs went to first, second and last. We were able to stick them onto their houses, using the Wikki Stix, sort of like a tacky. 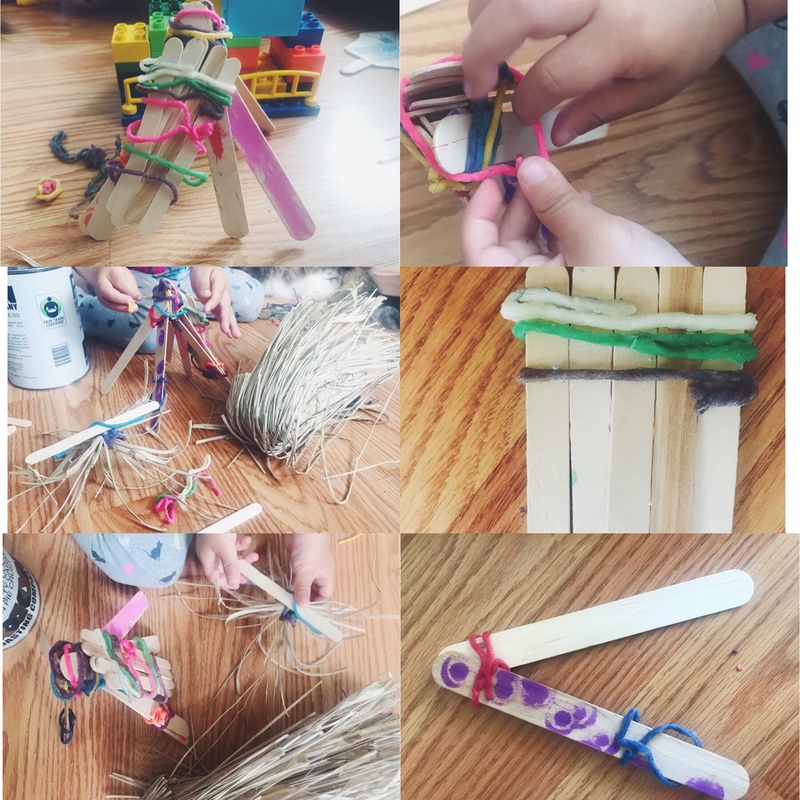 After the story was finished, we took the popsicle sticks apart and the girls wanted to continue to use them to build; and build they happily did, as they used the Wikki Stix as glue to build more houses. 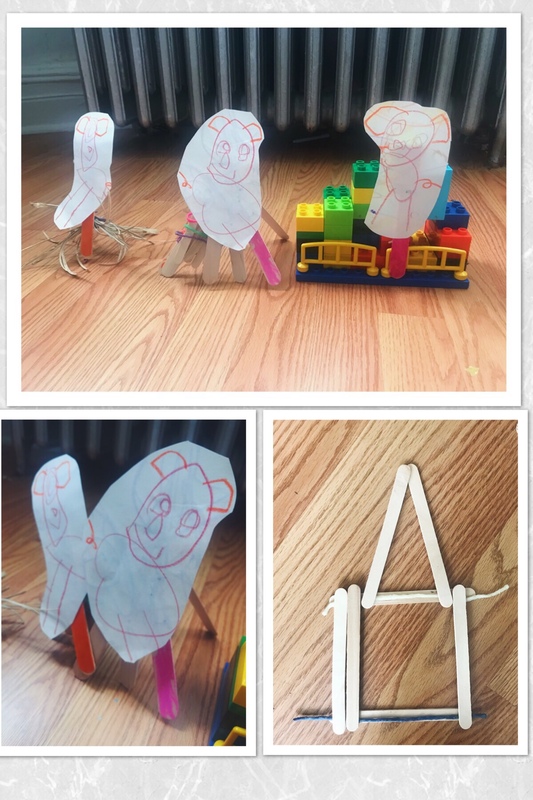 I was happy because it was not as messy as regular glue, it makes my popsicle sticks reusable and I didn’t even have to wait for anything to dry! It was an active day of fun! Do you have any favorite versions of Three Little Pigs you would recommend? I can say I liked this simple version enough to buy it, but it’s not a book I would buy as a gift. What are other endings you’ve heard of for the Three Little Pigs?